As we all know iPhone Smartphone's are now world's most popular and successful Smartphone ever introduced from Apple and after the success of old iPhone models starts from iPhone to iPhone 4S now everybody is seems to be waiting for next generation iPhone model iPhone 5. So today we are going to reveal the Expected iPhone 5 Model, Size and Body Look Screenshots so that general public can think how next generation iPhone 5 will be look and feel. 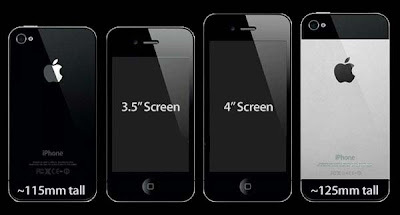 According to the recent rumors iPhone 5 will have bigger screen, improved processor and even better cameras. However, according to the recent blog post on a famous tech blog, iLounge the next-generation iPhone 5 will have 4.0 inch display screen, metal body and the small dock connector. According to the iLounge blog post, iPhone 5 will be slightly larger than the current version of iPhone series and it will also have a metallic body from back and will be 20% thinner than the current iPhone 4 and iPhone 4S Smartphones. Currently, the iPhone 4 and iPhone 4S has a perfect size and one of the attractive and best designs in the whole smartphone market today, but due to large screen size demand, Apple will probably release an iPhone with 4.0 inch screen as you can see in screenshot of iPhone 5. (Expected iPhone 5 Body Look) Click to Enlarge Image! Moreover, iPhone 5 will also probably have 16 pin dock connector as compare to the current iPhone, iPod Touch or iPad devices which have 30 pin dock connector. According to the rumors next generation iPhone 5 will have a new dock design which will be small with fewer pins, however, it will be universal across all devices. 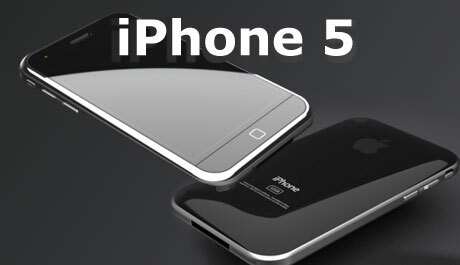 You can also expect that iPhone 5 will be soon released in this fall. (Expected iPhone 5 Design) Click to Enlarge Image!